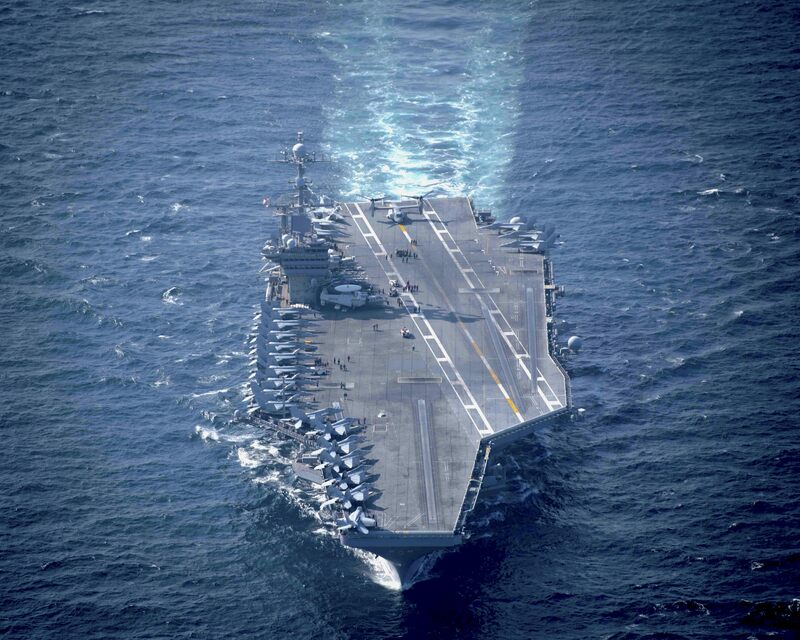 USS John C. Stennis (CVN-74) entered the Persian Gulf on Friday, returning to the region after spending roughly two months operating in the Indian Ocean and the South China Sea. 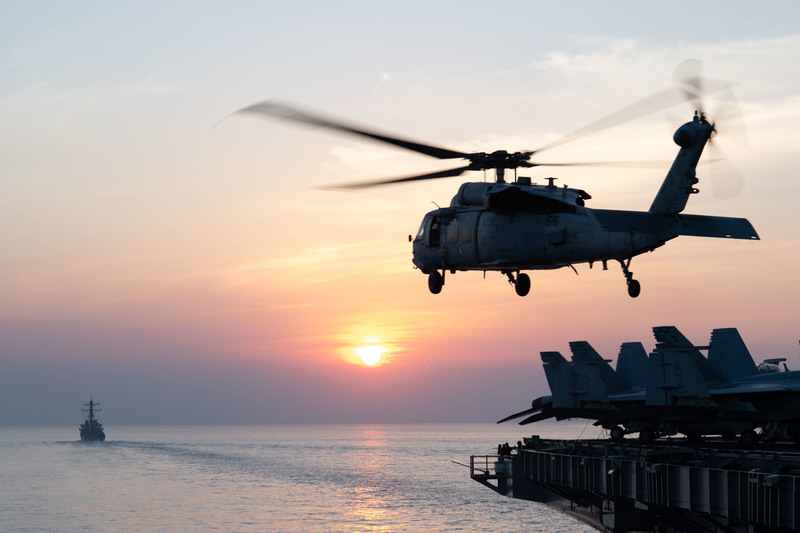 Stennis spent early 2019 participating in the Cobra Gold exercise in Thailand and operated off the coast of Vietnam during President Donald Trump’s abbreviated summit with North Korea’s leader Kim Jong-Un in Hanoi on Feb. 20 and 21. Stennis’s return to the Persian Gulf is to “promoting the free flow of commerce and continued commitment to region and partner nations in the U.S. Naval Forces Central Command / U.S. 5th Fleet area of operations,” according to a post on the ship’s Facebook page. In the interim, Iran unveiled its first indigenously-produced submarine. The Fateh-class submarine entered the Iranian fleet at a commissioning ceremony in February. The new sub carries four torpedoes, two reserve torpedoes and eight sea mines, according to an account by the Islamic Republic News Agency (IRNA). The new sub took part in Iran’s Velayat-e 97 war game involving more than 100 vessels during the last week of February, IRNA reported. When Stennis first arrived in the Persian Gulf just before Christmas last year, it was the first time a nuclear-powered carrier had passed through the Strait of Hormuz since USS Theodore Roosevelt (CVN-71) left the region in March 2018. In between Roosevelt and Stennis, a pair of amphibious warships visited the region – USS Iwo Jima (LHD-7) in June and USS Essex (LHD-2) in October. When Stennis next departs the region, the carrier will continue what will become an around-the-globe deployment as it moves to a new homeport in Virginia. Stennis is scheduled to undergo a midlife refueling and complex overhaul (RCOH), at Newport News Shipbuilding. Stennis’ homeport change is part of a three-carrier move. USS Carl Vinson (CVN-70) is scheduled to move to Naval Base Kitsap-Bremerton (where Stennis departed in October) for a planned incremental maintenance availability at Puget Sound Naval Shipyard. USS Abraham Lincoln (CVN-72), which just finished an RCOH at Newport News Shipbuilding, is moving to San Diego, Calif.